Poblocki Sign Company won two Mayor Design Awards in the 19th annual competition. The projects were for Century City and the Riverside Theater. The projects were recognized for finding unique opportunities to contribute to the character of the neighborhood and making the streets and public spaces more attractive by engaging the public. The Mayor’s Design Awards are presented in an ongoing effort to recognize design excellence throughout the City of Milwaukee. Recipients have added value to their neighborhoods by restoring, constructing or enhancing their properties in a way that respects the urban fabric and contributes to the character of their surroundings. The 19th Annual Mayor’s Design Award ceremony was held on Wednesday, May 25th, 2016 at UWM’s School of Architecture and Urban Planning. 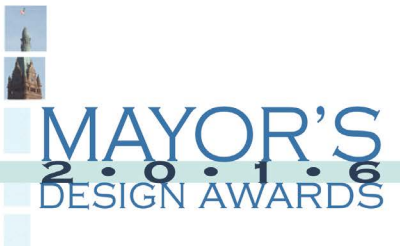 To View a Presentation of the 19th Annual Mayor’s Design Awards, click here!